Bluff Creek holds some nice trout, as evidenced by the photo above. This stream has undergone big changes over recent years, thanks to the Luke Roffler and crew at the DNR. We at SEWTU have our own role to play in this story, having performed recent successful workdays at this stream in 2006, 2007, 2011, 2012, and 2014. The work we've done has had a positive impact, and it continues next Saturdaywith our first workday of the season. 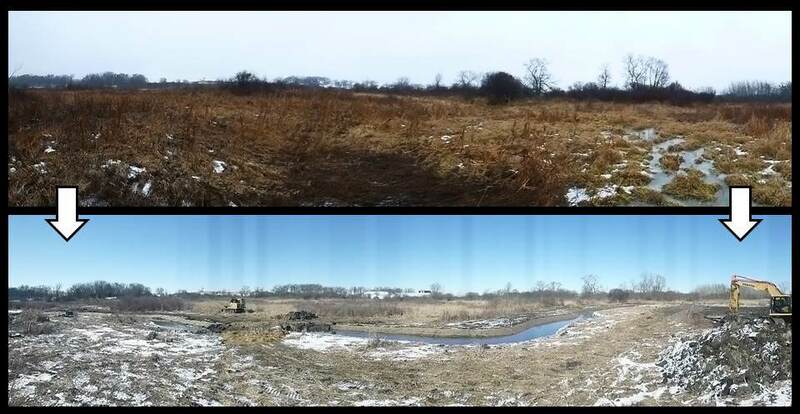 The DNR recently completed a remeander project at Bluff Creek (see photo below) to help remedy areas of the stream channel that were straightened and ditched for agriculture use sometime after 1940. Ditched areas are wide, shallow, silty and warm, lacking the depth, structure and overhead cover necessary for trout and other coldwater species. In less than a week, a Fisheries Management crew constructed roughly 900’ of meandering stream channel in the approximate location of the historic stream bed, bypassing roughly 500’ of ditched channel. And that's where we come in. We're stopping by on Saturday September 17th (9am-noon) to put the finishing touches on the newly excavated stream channel, providing overhead cover for the coldwater fish community and fishable structure. Our work day will include installation of habitat features within the remeander project site, likely including placement of coarse woody material (tree tops, large branches, etc. ), half-logs, overhead bank cover structures, and/or boulders where necessary to direct stream energy, increase water velocities, or provide overhead cover. 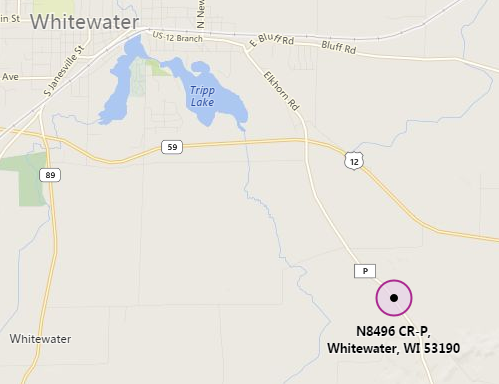 Meet at the Bluff-Whitewater Fishery Area parking lot that is just north of the bridge on Hwy P.
This is a highly valuable and popular coldwater fishery resource. The work day will to continue to improve trout habitat in Bluff Creek, enhancing the recently completed remeander project and building on the premier fishing produced by other restoration projects upstream and downstream of the proposed project site.